Whether layering and stacking jewellery is your forte or at the best of times a tangled mess, this is for you. 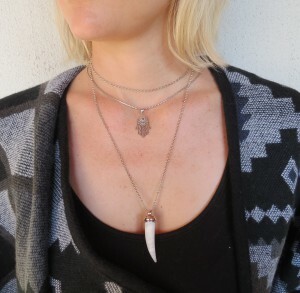 As winter is upon us, I thought it appropriate to share some layering ideas. Why stick to only scarfs if you can be wrapped in sterling silver. I think a lot of us shy away from layering as we are unsure what works. But to be completely honest, it’s kind of an anything goes type of trend… This is the bit I get so excited about and that is mixing and matching. You are never limited by 1 item, you can have at least 3 or 4 or even 5. Please do not get me wrong you cannot, I repeat cannot throw on every single piece you own. But with a few personal looks I have put together below, your layering has the ability to make a statement. The long and the short of it. Play with different lengths. It will create depths to an outfit. Mixing textures. 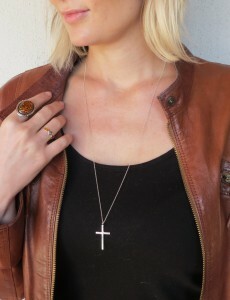 Do not be afraid to mix different textures of chains. They do not all have to be the same. 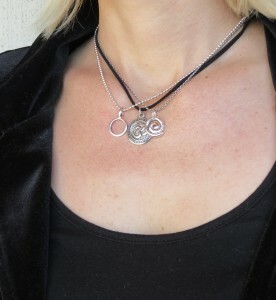 The double pendant. 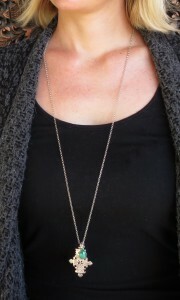 I love having two pendants on one chain; you can add a pop of colour with the gemstone of your choice. Tangled up. 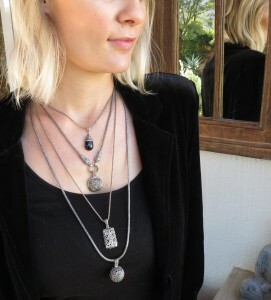 Wear same length chains and have the pendants complement each other; like in this picture all the pendants are round. 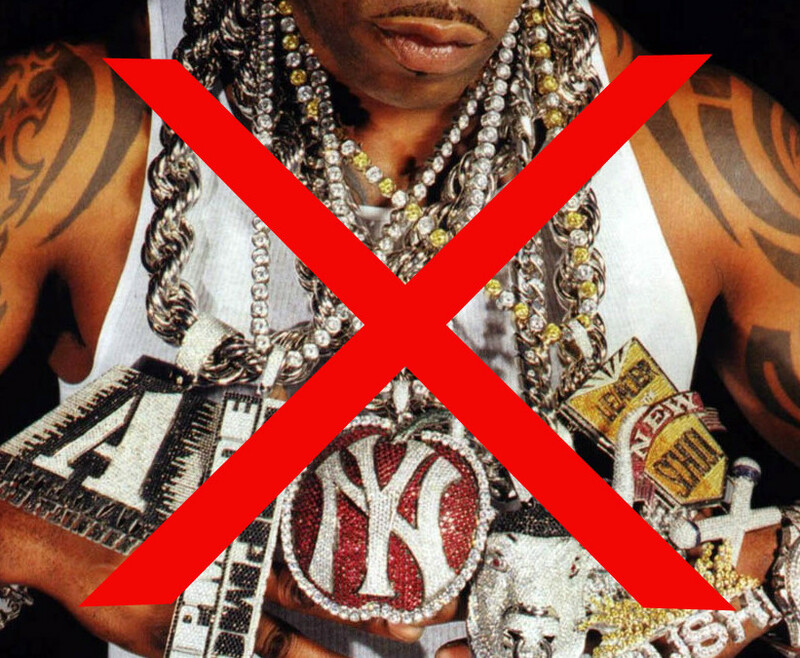 Don’t stress if the chains tangle, the look works. Dainty, simplistic. Some times less is more. Layer small pieces together to get a really pretty look. Shine bright. Cubic zirconia is one of my favourite gems, and it really adds that beautiful shine and elegance. Stand alone. 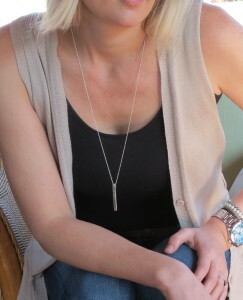 I absolutely love wearing a single long chain with a dainty pendant. Something very soft and feminine. Vintage. For a vintage look, I find it is easiest to create this with Marcasite and Oxidised silver as it naturally gives that olden day feel. Wrap it. 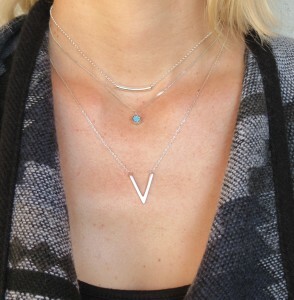 Create an extra layer by wrapping a long chain twice around your neck. “Gem”ming. Not sure if this is an actual term but I like to use it when referencing to mixing the same gemstone in your layered look. There is a lot more you can do with layering, especially this Winter. Don’t settle for just a jersey, jazz it up with you own personalised layering. writeaessay - write an essay for me http://dekrtyuijg.com/ Wonderful information. Thanks a lot!